Design Is Santa With Sack. 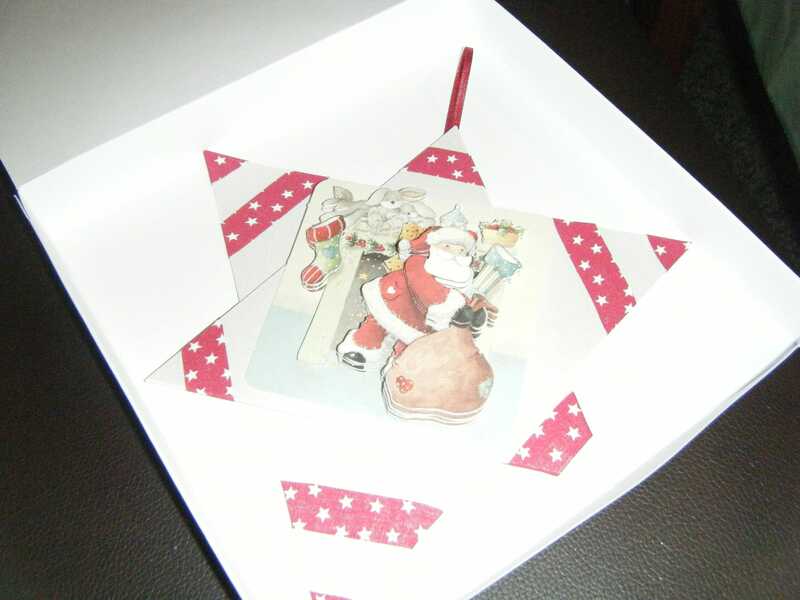 Card Design Star Shaped with Red Star Ribbon And Red Ribbon Hanger. Card Size 16.5 x 16.5cm.